Welcome to Needle and Thread Thursday, friends! I'm still working hard on my quilt pattern, and I'm really hoping to get it finished soon so I can get back to some sewing I can share! So, since I can't share what I'm working on just yet, I'll just jump right in and show you some of the awesome highlights from last week's party! 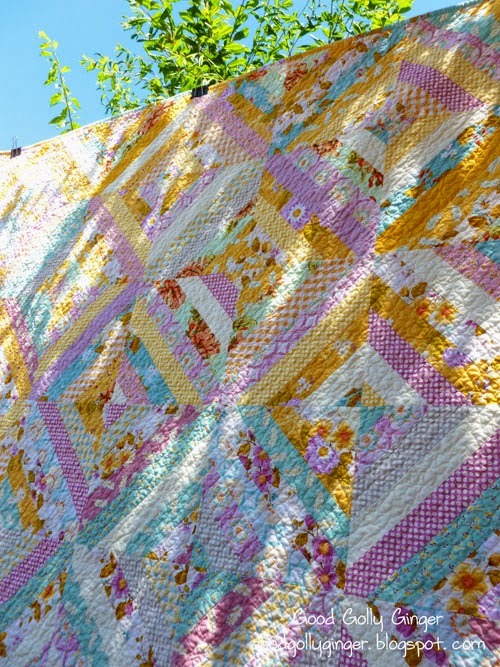 Good Golly Ginger showed off her dreamy strip quilt! and Sing While Crafting shared her finished Granny Square top! I tell you, so many fantastic projects have been linked up lately, I've really had a tough time choosing which projects to highlight. Y'all rock! Time to show off what you've been working on this week! I can't wait to see! Thanks Kelly for showcasing my quilt this week and thanks again for hosting! I agree..wonderful highlights this week!! Very inspiring links too!! Thanks Kelly. 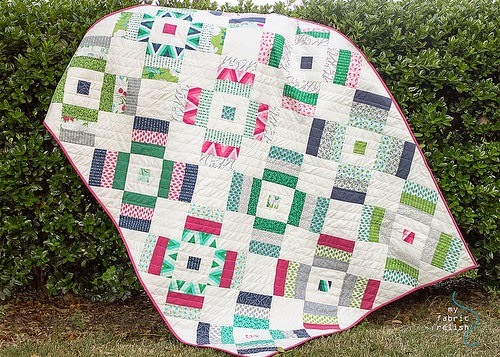 Oh, what beautiful quilts you've featured! Thanks for sharing, it's hard to get around the web to see everything, so I like these kinds of posts! I can't believe it, more teasing ;-) Good luck with your pattern! Love this weekly party, Thanks so much for hosting. I have seen the coolest projects here week after week.